I created this recipe as part of a challenge from Williams-Sonoma. They asked me to come up with a healthy juice recipe that was based on a favorite dessert. Somehow, the idea of drinking a shot of carrot cake just made sense to me. (Don’t ask me how!) It must have been a good idea, though, because when P. got home from kindergarten and saw the shot glasses lined up on the counter, he went down the line and drank every single one! Scoop the yogurt into a fine mesh strainer lined with either cheesecloth or a coffee filter. Set the strainer over a bowl or measuring cup and allow the yogurt to drain for at least 15 minutes. Once the yogurt has thickened slightly, transfer it to a small bowl and add the cinnamon. Mix thoroughly and set aside. Combine the pineapple, carrot, and water in a blender. Blend at high speed until smooth. Add the dates and continue to blend until everything is evenly pureed. 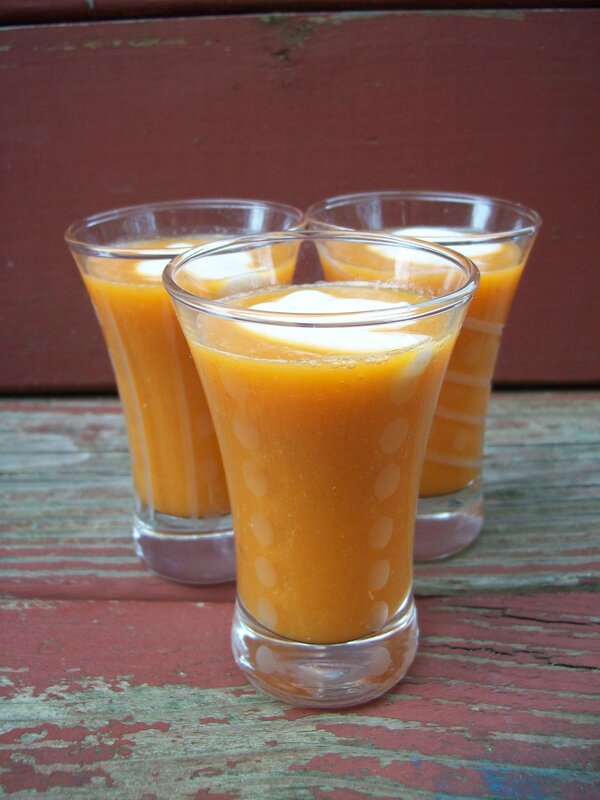 Strain the carrot mixture through a fine mesh sieve into a pitcher, then pour the resulting juice into four shot glasses. 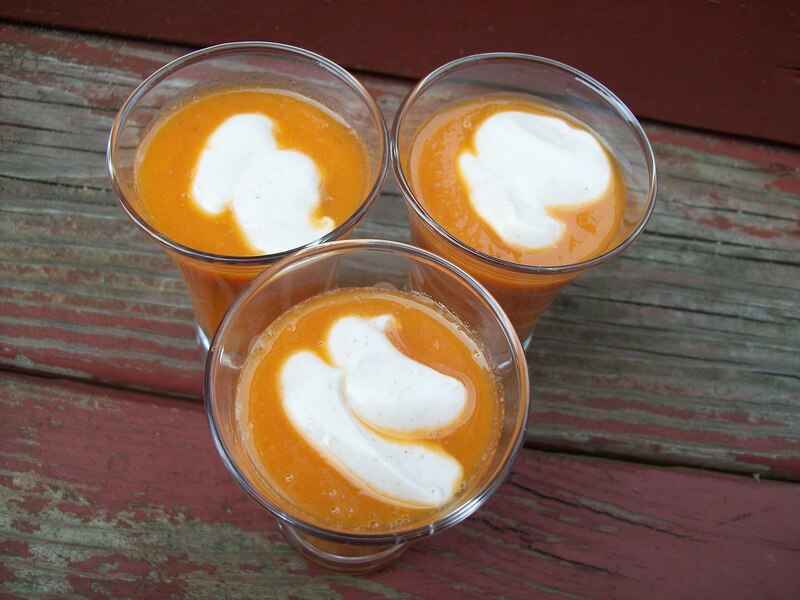 Top each with a dollop of the cinnamon yogurt.